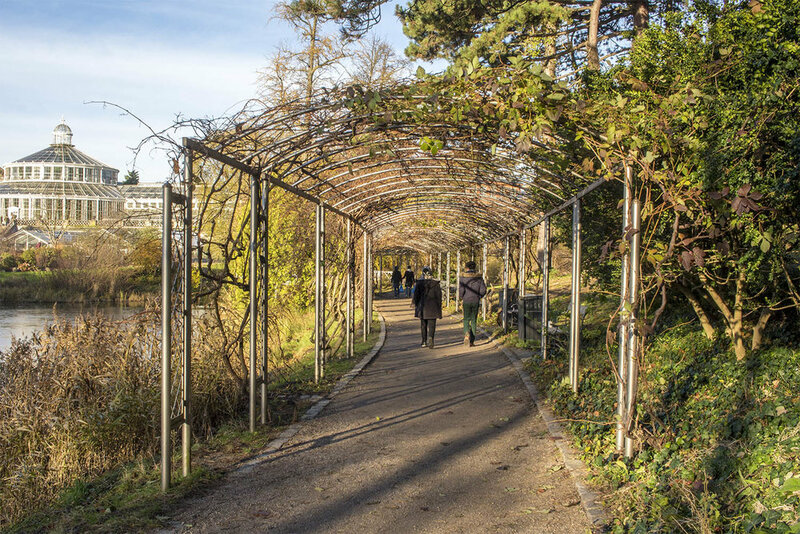 While Edvard Eriksen’s Little Mermaid statue is perhaps Copenhagen’s most well-known attraction, and Nyhavn is its most recognisable neighbourhood, a walk through The Botanical Gardens is well worth your consideration on your next visit to Copenhagen. Despite housing the largest living plant collection in Denmark (with over 13,000 species), The Botanical Gardens is a compact green space right in the heart of Copenhagen. Plotted around the gardens are designated spaces for specific plant types including; Danish plants, perennial plants, annual plants, coniferous trees and rhododendron. Explore the grounds but be sure to save time to visit the beautiful glasshouses; the centrepiece of these stunning gardens. There are 27 glasshouses within the Botanical Gardens, the largest being the Palm House, built in 1874. The 16 metre tall structure features a cast-iron spiral staircase that gives visitors a breathtaking view from above. Orchids, cacti, succulents and palms can all be found in this one space spanning 3000 square metres.